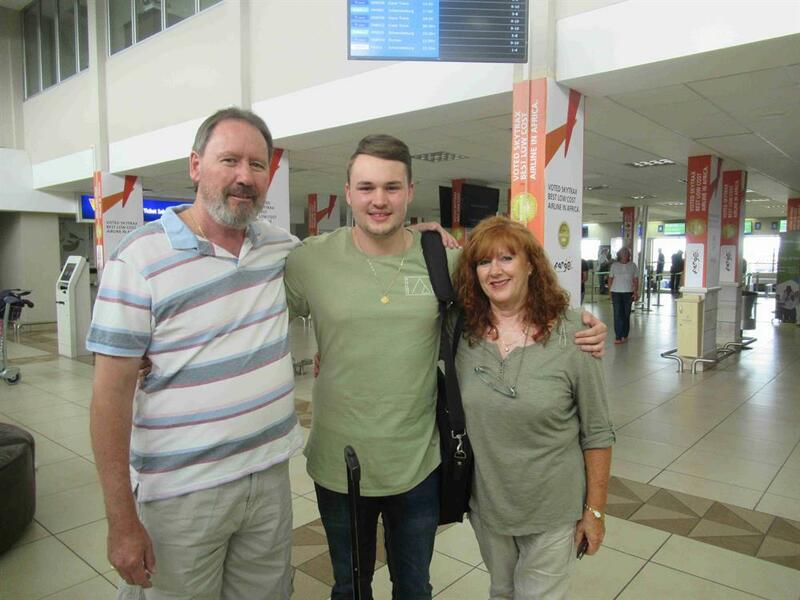 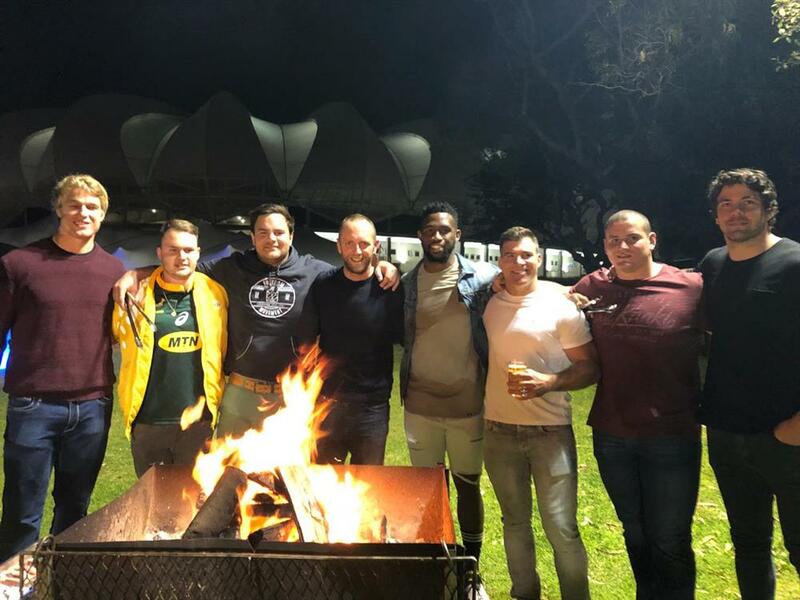 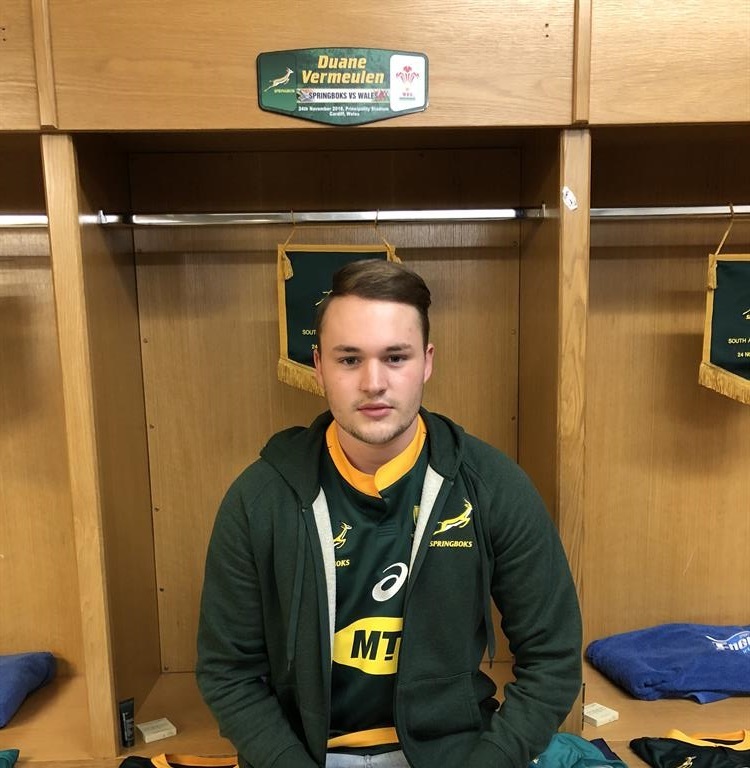 Not many people can count South Africa's top rugby players amongst their friends, which puts the Sedgefielder Mark Nancarrow (23) in a special category - he accompanies the Springboks on their travels nationally and abroad. 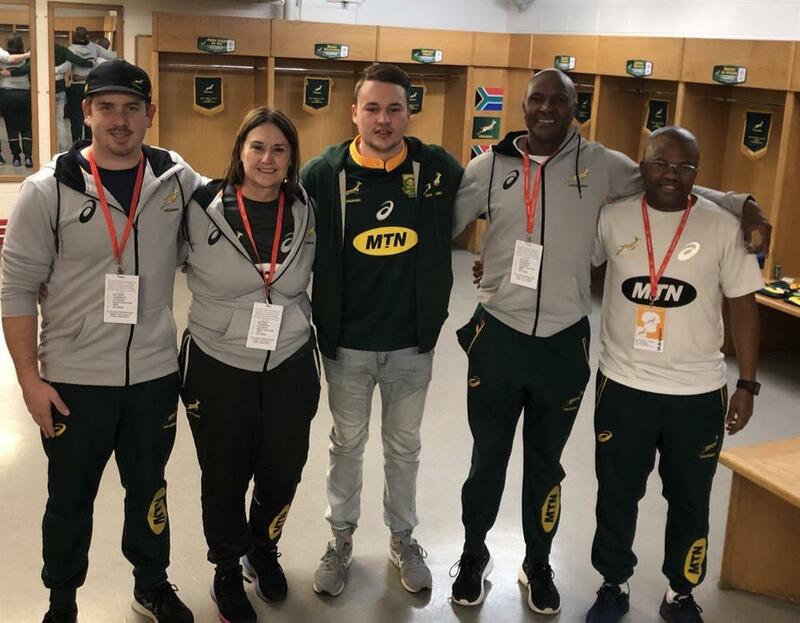 He was chosen as the MTN Bozza last year after a lengthy nationwide screening process by MTN, the official team sponsor of the Springboks. 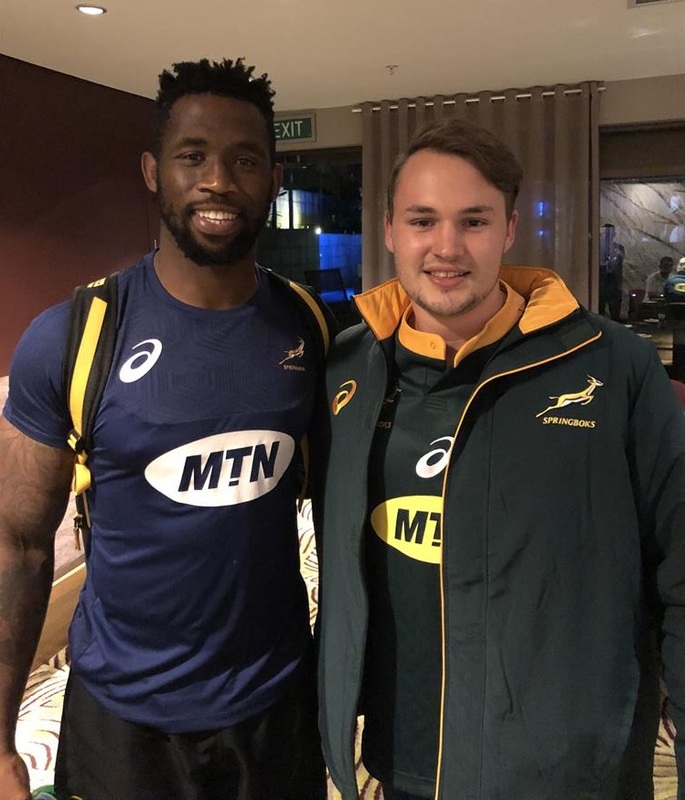 Mark with the Springbok captain, Siya Kolisi. 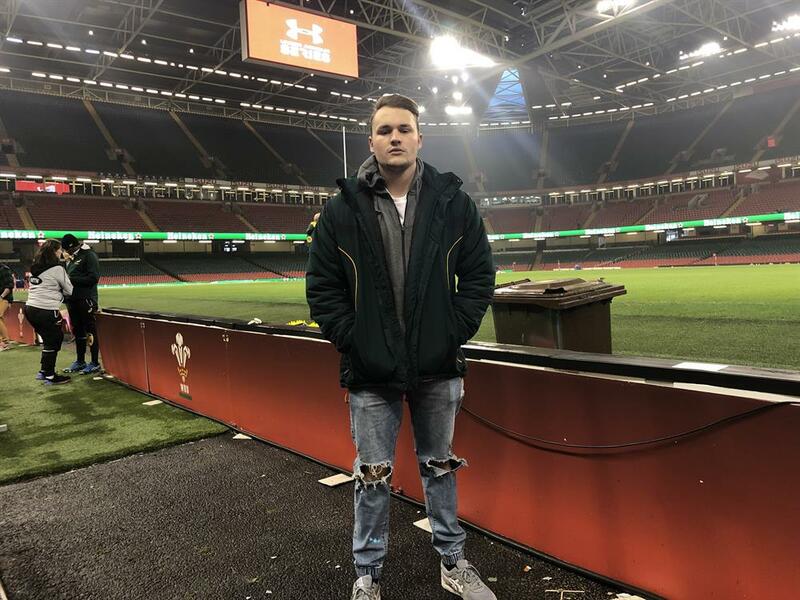 In the Milllenium Stadium Cardiff, Wales during the captains run. 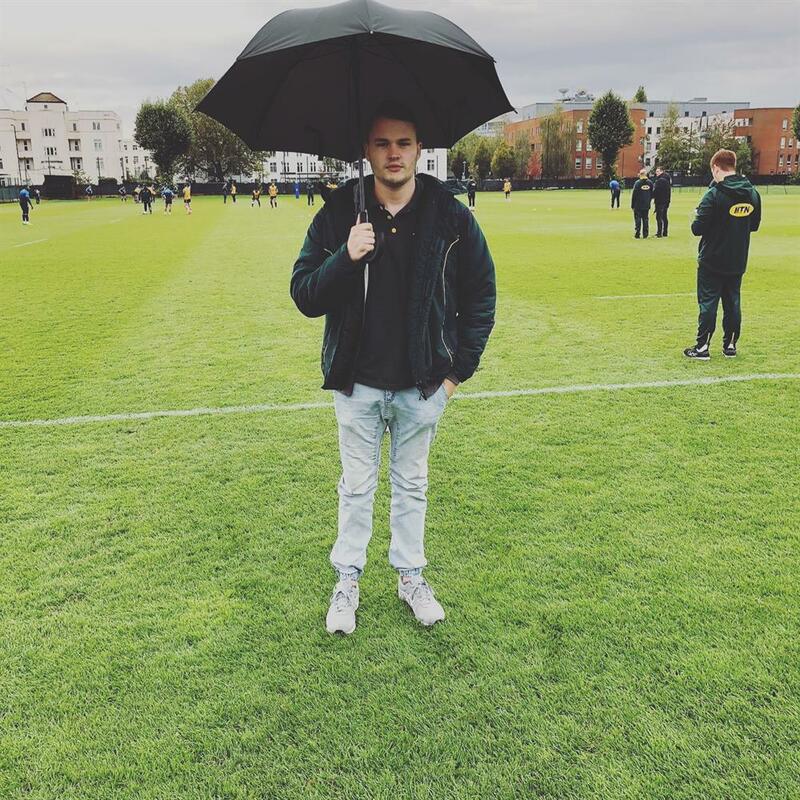 Mark at a cold and wet Springbok training session in London. 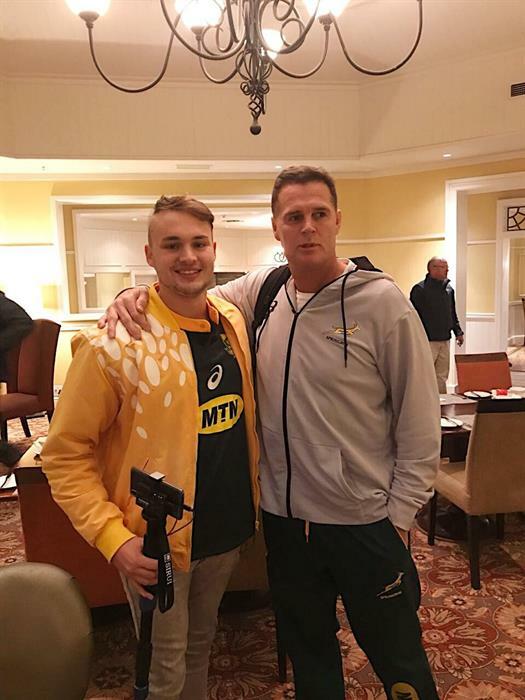 Mark with Springbok coach Rassie Erasmus. 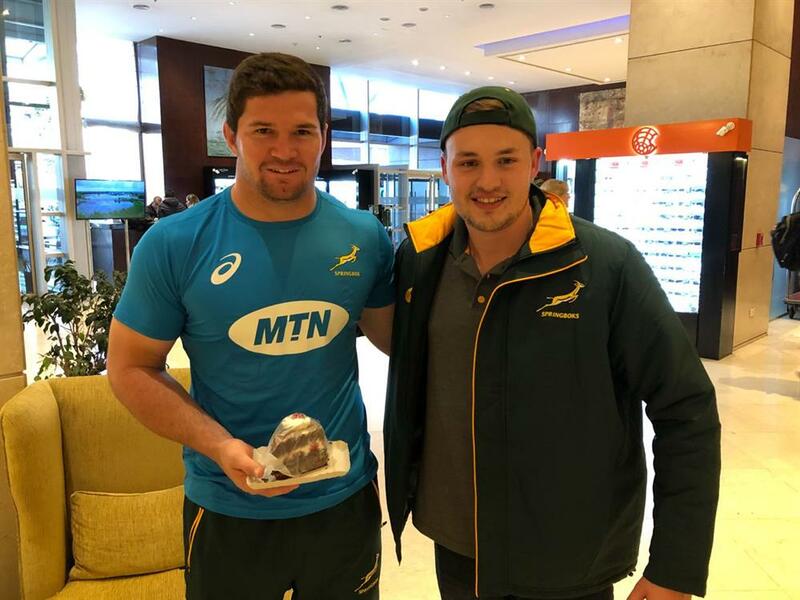 Mark gives Marco van Staden a slice of cake on his birthday in Buenos Aires, Argentina.